Click on the products to view more info and buy online. AMSOIL Synthetic Polymeric Off-Road Grease is ideal for heavy-duty, heavy-load-bearing applications operating in the adverse conditions found in agricultural, construction, landscaping, logging and mining environments. Applications include power shovels, drag lines, wheel and track loaders, excavators, bulldozers, skid steers, dump trucks and other heavy-duty equipment with heavily-loaded pivot pins, king pins, bucket pins and bushings. AMSOIL Synthetic Polymeric Off-Road Grease is a perfect choice for equipment, including Caterpillar, requiring 5 percent moly for pin and bushing applications. AMSOIL Off-Road Grease provides superior performance, protection and longevity in heavy-duty, off-road applications. DOMINATOR Racing Grease pairs a high-viscosity-index synthetic base oil with a top-quality lithium complex thickener known for its extraordinary performance in temperature extremes. It offers excellent low-temperature pumpability and high-temperature consistency for dependable protection in all temperatures. AMSOIL Synthetic Water-Resistant Grease meets the highest performance standards set by the National Lubrication Grease Institute (NLGI) for wheel bearing applications (GC) and chassis applications (LB). It may be used in automotive wheel bearings, chassis or other applications for which an NLGI #2 GC or LB grease is recommended. AMSOIL High-Viscosity Synthetic Grease is a lithium-complex-thickened grease blended with premium ISO 320 synthetic base oils. It is fully compounded with additives, providing superior extreme-pressure protection, oxidation resistance and corrosion protection. AMSOIL High-Viscosity Synthetic Grease is shear stable, maintaining its viscosity and consistency in the presence of mechanical activity. It also stays in place by resisting water washout. During high-temperature operation, AMSOIL High-Viscosity Grease’s base oils resist thermal breakdown, providing a thick film for excellent protection. AMSOIL High-Viscosity Synthetic Grease adheres to critical components in severe conditions to promote optimum operation, resulting in increased uptime and reduced repair and maintenance costs. 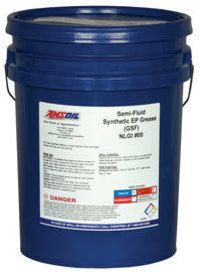 - Two convenient grease-distribution options (flexible hose and rigid pipe). - The pistol-grip design and rigid hose allow one-handed grease application, while the flexible hose eases access to hard-to-reach locations. 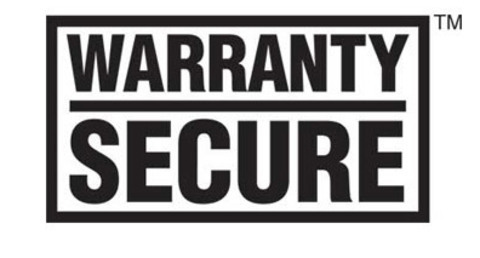 YOU CAN BE CONFIDENT THAT USING AMSOIL SYNTHETIC LUBRICANTS OR PRACTICING EXTENDED DRAIN INTERVALS WILL NOT VOID YOUR NEW VEHICLE OR EQUIPMENT MANUFACTURER’S WARRANTY.